This year's celebration of Europe Day will take place at Mykhailivska Square in Kyiv on May 21-22, the press service of Kyiv City State Administration has told an UNIAN correspondent. 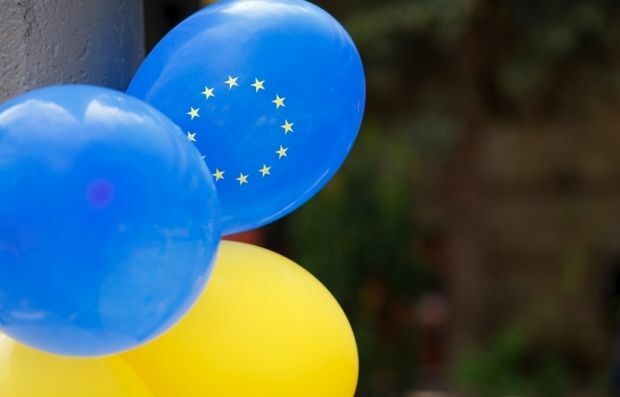 The citywide events will start at 12:00 on Saturday, May 21 with the official opening ceremony of Europe Day with the participation of the state and city leaders, the head of the EU Delegation in Ukraine, representatives of embassies of EU member states, media, and the public. Representatives of European countries will present interactive and creative projects from embassies and national cultural centers. During the celebration of Europe Day, Kyiv residents and city guests will be able to visit the Street Music Day festival where street musicians from around the world will present music of different styles. Among other activities – interactive installation "The door to Europe." Thanks to modern video technology, opening the door, everyone will immediately find himself in one of the famous places in Europe, according to organizers. Read alsoHow Ukrainian cities celebrate 71st anniversary of Victory over Nazism (Photos)The Ukrainian athletes will perform a show program in most spectacular outdoor sports (workout, parkour, roller, TRX). Everyone will be able to join "FunUp" physical training, watch the masters of extreme, CrossFit, zumba, yoga, etc. Children's sports competitions and master classes will be held for the youngest guests of the festival. They will also have an opportunity to enjoy children's rides, trampolines, and slacklining. Late night celebration program will start with the performance of famous Ukrainian electronic band Onuka. Further on, the visitors will be able to enjoy classic European movies on big screen, using headphones to tune to the audio stream. On Sunday, May 22, the celebration of Europe Day will continue across the capital. In particular, at 12:00 Kyiv time, a solemn farewell to the National football team Ukraine - participants to the Euro-2016 Cup in France, will be held at Mykhailivska Square.